Scotland’s Beef Event 2017 is to be held on a farm in the Borders next year. 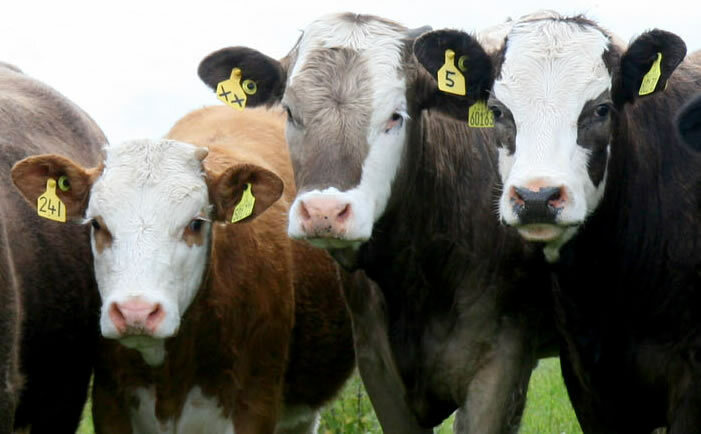 The biennial event, organised by the Scottish Beef Association, will focus on the efficient production of beef on a mixed farm and will be hosted by the Stewart family at Fans, Earlston, Berwickshire, on Thursday, June 8. A local organising committee, under the chairmanship of Sion Williams, farm manager at Bowhill Estate, with representatives from the farming, trade and research/advisory sectors, has been established to run the event. Mr Williams said he looked forward to seeing advancements available to make the industry more sustainable, especially with the economic pressures currently on the industry due to changes under the Common Agricultural Policy and Brexit. “We are grateful to the Stewart family for accepting the association’s invitation to host this important event for the beef industry in Scotland which is sure to attract a huge attendance of beef farmers and industry professionals from throughout Scotland and the north of England,” he said. The farm is run by Douglas Stewart and his wife, Kelda, father, Graham, and children, Holly and Archie. Stocking comprises a commercial suckler herd of 400 Aberdeen-Angus cross cows, which are put to the Aberdeen-Angus bull, with all progeny finished on the farm. “The beef enterprise is integral to our mixed farming enterprise and is profitable in its own right as well as utilising grass, home-grown barley and straw and providing farmyard manure for our arable operation,” said Mr Stewart. Fans is a tenanted farm on the Mellerstain Estate and base for an extensive farming enterprise which takes in the farms of Caldside and Gordon East Mains. The suckler cows are all home-bred and the herd has been built up over the last 25 years from the original suckler herd of beef x dairy cows. There are 14 Aberdeen-Angus bulls and one Charolais bull on the farm and the herd has been closed for many years, with only stock bulls purchased. “We now have a more consistent type of cow as we have more control and fertility and general health has been improved significantly,” says Mr Stewart. Cows are calved in April and May and wintered inside on straw, silage and barley. All calves are wintered on silage and barley and males left entire. Bulls are finished on an intensive cereal diet at around 15-16 months of age. Cropping comprises 101 acres winter oats, 403 acres winter wheat, 244 acres winter barley and 135 acres spring barley and the other main enterprise is 350 acres of seed potatoes, mostly grown on rented land. Potatoes are grown on contract for the co-operative, Saltire Seed Ltd, of which the Stewart’s are members, and stored, graded and dispatched from Fans to customers in England, Europe and further afield.